Through creation and culture in general we feel that our time is taken away by a disturbing and threatening uproar. Yet our microcosm thirsts for renewal, of a heavenly surge, maybe an imaginable world. Even though the West has continued to send imagination to other lands, it always comes out the back door, basking in its hard-won freedom. Unfortunately it has not always been able to reach its own spheres: the reason is on stand-by, and its law is relentless. Our land is perhaps a bit more complicated than that, it has been abused. Heavenly blessing lurks in the minds not making too much noise for fear of disturbing, but reappearing at random times and painful history. Yet, reality is first an imaginary fact, the creative imagination addresses the true meaning of our history, supra-sensitivity of the people, it is revealing and transformative. The reality is even more fantastic than what we may imagine; Science and Art are there to remind us. Bachelard wrote “The imagination is not as suggested by the etymology of the ability to form images of reality; it is the ability to distort images…. And to form images that exceed…it is the faculty of superhumanity”. The imagination is our freedom; it is not separated from the rational or the spiritual. It allows to not stay locked in the existents, to project ourselves out of us, to flirt with the human limits enlightened by its own reasoning, to face the obstacles and the needs, to freely adhere to the truth "
Pas loin du magnifique musée national des antiquités, se trouve un ancien et spectaculaire manoir turc qui a été parfaitement restauré et transformé pour devenir le musée national du Bardo en Algérie. Le bâtiment est une attraction spectaculaire à part entière, avec sa superbe architecture son design décoratif, et il abrite certains plusieurs collections et des objets les plus exclusifs et inhabituels que les visiteurs sont susceptibles de voir. Le musée du Bardo a été inauguré en 1930. Son style du XVIIIe siècle lui donne un air unique. The International Exhibition of Contemporary Art, Al-Tiba9, brought to you by Arab curators from Algeria. Art works on view from painting, sculpture, installation, photographic art, video & net art and performance art of 18 national and international artists from around the globe. On 27th April from 18.00pm A cocktail lounge will be opened after the opening exhibition to welcome the VIP guests for a Cocktail Reception. 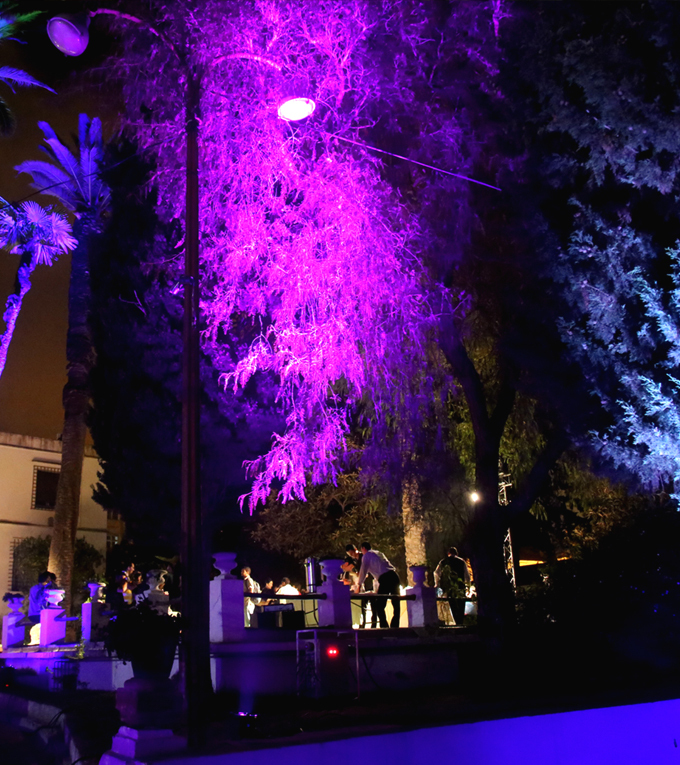 The VIP guests are also invited to meet the artists giving them the chance to network with Algiers' art scene of high society, collectors, art lovers, art enthusiasts, press and gallery owners as well as journalists for press release and critics. 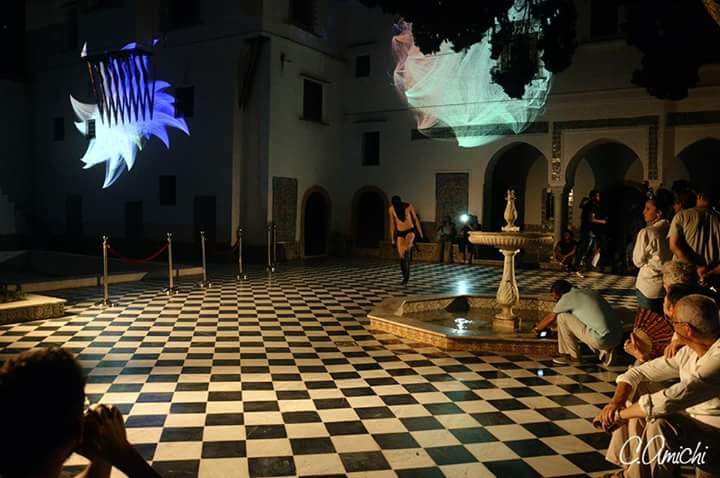 On September 1st, 2015 in Algiers, Algeria, the Bardo National Museum majestically illuminated by a very special light of Algiers, it was the object of an astonishing aesthetic experience. Indeed its architecture is seen illuminated by the works of the artist Meng Chih Chiang (New York - Taiwan), so that the language join the things, where the union of the spirit and the body are actualized. The use of light has always been for artists, as a primordial manifestation of energy, a principle that makes it possible to reach the phenomenological world, an element of knowledge, an alliance originating in human and the world. But to reach this Promethean elsewhere, to leave the reassuring Common Here, what better than to be carried away by the creative imagination, and this is thanks to the physical and energetic movement of the artist Richter / Mayer / Marx ( Berlin) projected on the facade of the museum that we are transported on a fascinating territory, where all the possibilities coexist. The live performance of Mo' Mohamed Benhadj performed in the marbles courtyard produces on us the effect of a "elsewhere" reenchanted or a mythical "here", inhabited by a story muted, a show animated by a hope maybe a little more complex but still real. This journey was not yet finished and it was in the garden dressed in a poetic light and among the discrete scents of jasmine, that the visitors of the exhibition were able to continue the experience of the creative imagination. "The elsewhere and also the here"
Le 1er Septembre 2015 à Alger, Algérie, le Musée National du Bardo majestueusement éclairé par la lumière si particulière d’Alger, a été l’objet d’une expérience esthétique étonnante. En effet son architecture c’est vu illuminée par les oeuvres de l’artiste Meng Chih Chiang (New York - Taiwan), pour que le langage prennent corps, où l’union de l’esprit et du corps s’actualisent. L’utilisation de la lumière a été de tout temps pour les artistes, comme une manifestation primordiale de l’énergie, principe qui permet d’atteindre le monde phénoménologique, élèment de connaissance, alliance originaire de l’homme et du monde. 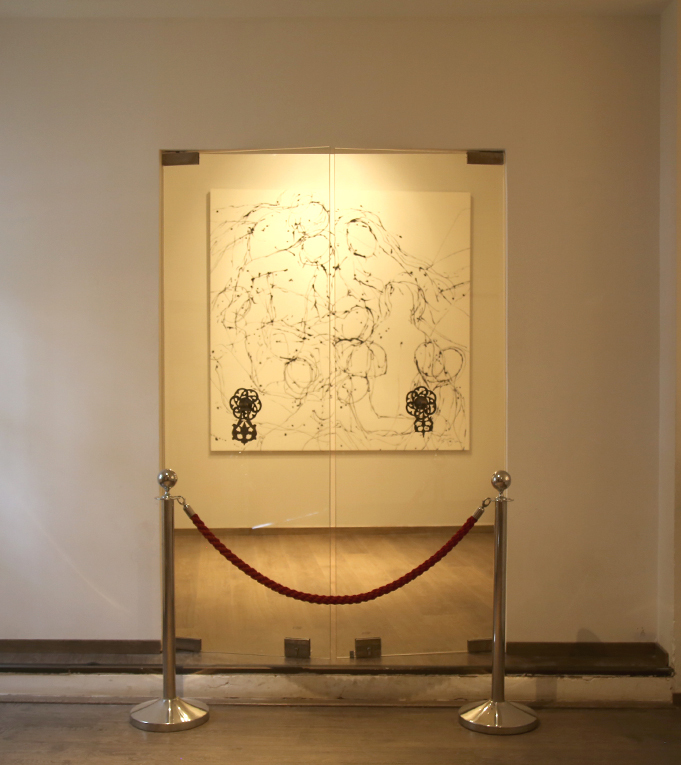 Mais pour accéder à cet ailleurs promethéen, pour quitter l’Ici commun qui rassure, quoi de mieux que d’être emporté par l’imagination créatrice, et c’est grace au mouvement physique et énergique del’artiste Richter/Mayer/Marx (Berlin) projeté sur la façade du musée que nous voilà transporté sur un territoire fascinant, où tous les possibles coexistent. La performance live de Mo' Mohamed Benhadj exécutée dans la cour des marbres produit sur nous l’effet d’un “ailleurs” réenchanté ou “l’Ici” mythique, habité d’une histoire en sourdine, se trouve animé d’un espoir peut-être un peu plus complexe mais cependant réel.